The Fees and Charges for the following Council facilities can be downloaded by via the 'Fees & Charges' quicklink to the left of this page. For booking inquiries for the hall and pavillion please contact the Council Office (08 9885 1005). For bookings at the Community Resource Centre call 08 9885 1378. 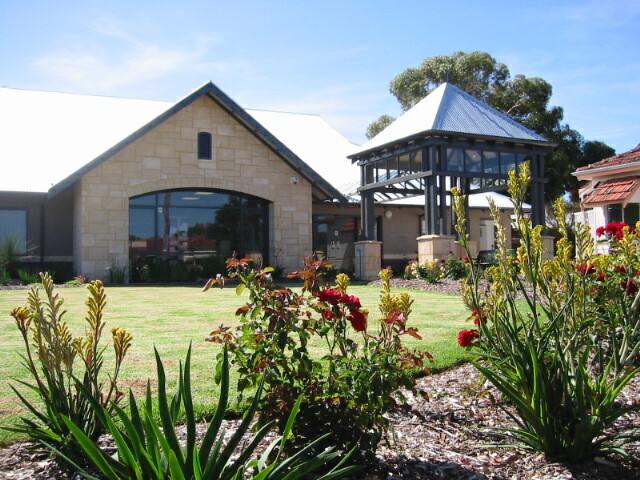 Opened in January 2005 the Community Resource Centre is modern complex feauring a comfortable conference room complete with presentation and video conferencing facilities. Besides the CRC the centre also houses the Williams Public Library, The Williams Community Paper and a room for our local reflexologist and kinesiologist. Located at 3 - 5 Brooking Street. The 9 Brooking Street (cnr Growse St) complex, comprises of the Shire Office, two halls (RSL & Memorial), playground and public toilet. For hire are the District Memorial and RSL Halls, with combined kitchen. Both halls and kitchen are suitable for a vast range of activities from indoor sports to weddings and other functions, with hire charges applying, according to usage. The large (27.4m long and 14.9m wide) Memorial Hall has a stage (15.6m wide and 5.68m deep) and bar area and is used frequently by the Williams Repertory Club for performances. Maximum hall capacity is 270 people. Although the complex is situated at 9 Brooking St, entrance to the RSL Hall is from Growse Street; this hall has a maximum capacity of 115 people. Built in 1990 and upgraded in 2014, the Pavilion is used mainly for sporting club social functions and in conjunction with use of the recreation ground facilities. The Pavilion seats up to 120 persons in a 12m x 19 area which includes a parquetry dance floor, plus kitchen, indoor and outdoor bar facilities. It is also available for private function hire, with a maximum capacity for 229 people. The recreation ground is used by various sporting clubs in the area including cricket, football, hockey, tennis and lawn bowls. 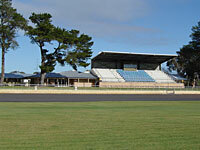 It is situated on the Pinjarra-Williams Road, corner of Albany Hwy. Click here if you need a liquor permit for your event. Council manages a total of 17 independant living units available to seniors and/or single persons for rental in the Williams townsite. The Williams Community Homes (4 x 1 bedroom units in New St) were jointly built in the 1970s as a joint initiative between the Federal Government, Williams Lions Club and Council. They are available to single persons and seniors. Sandalwood Court (6 x 2 bedroom units in Growse Street) were built in 1998 as a joint initiative between Homeswest and Council. Two units are dedicated to seniors and the remaining four are available for other tenants. 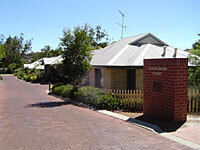 Wandoo Cottages (2 x 2 bedroom units in Growse Street) were built in 2005 as a joint initiative between Homewest and Council. These are dedicated seniors' units. Jam Tree Lane (5 x 2 bedroom units in Jam Tree Lane, off New Street) were built in 2014 and were jointly funded by the Royalties for Regions (Regional Country Local Government Fund and Regional Community Services Fund) and Council. These are dedicated seniors' units. Application forms and further information regarding these units is available from Sharon Wilkie at the Shire office.